With God seemingly down for the count, the Winchesters prepare for Plan B. But will it be enough to stop Amara from destroying the world? What fan doesn’t get a stomach full of butterflies when “Wayward Son” starts to play during the season finale of Supernatural? We all know what’s coming: a slew of emotions that are going to leave us paralyzed and fearing for the lives of our favorite characters. We know that they will go through hell (sometimes literally) before the hour’s up and we’re left wondering how the Winchesters are going to pull it off. I expected nothing less for this finale. Fully prepared to run the gamut emotionally, I sat down and watched, wondering which characters weren’t going to make it and what would happen to the ones that did. Faced with the certainty that this was the end, Dean finally threw in the towel and conceded defeat. He withdrew into the bottle and tried to numb himself to the inevitability of what was to come. When supplies ran low, he and Castiel headed out to pick up more, giving Dean a chance to tell Castiel that he’s not only a friend, but a brother to the Winchesters. This was a beautiful scene; one fans have been waiting for for a long time. I wish we’d had more time to let these two interact with each other. I’ve really missed the Winchester/Castiel interaction this season. Alas, it was not meant to be. Sam called with news and the two returned to the bunker post-haste. Angry that the others were going to passively sit by and watch the world end, Sam suggests a radical plan. If Chuck was going to die and that would lead to the imbalance that would destroy the world…. why not kill Amara and restore the balance? He asks Chuck for a weakness to use against his sister. Begrudgingly Chuck admits that Light is her weakness, but he’s in no shape to provide the amount of power that would take. Castiel suggests that they harness the power of souls. Each soul, he says, has the power of a hundred suns. With that, the gang heads out to reap as many souls as they can get. The number is pitifully small; that is, until Billie (the Reaper) steps in to provide enough firepower to take Amara down. Rowena fashions a bomb made from the souls. Since Dean’s the only person who can get close enough to Amara to allow the bomb to work, she places the device into his chest. 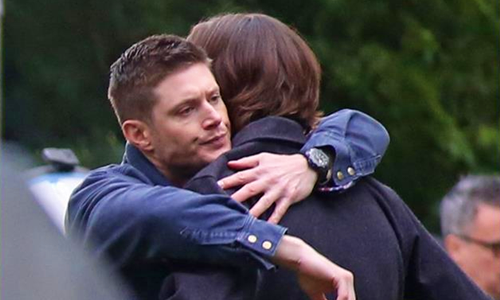 Realizing that he will die when the bomb’s detonated, Dean says his goodbyes. He hugs Castiel, speaks with his brother, and visits his mother’s grave one last time. 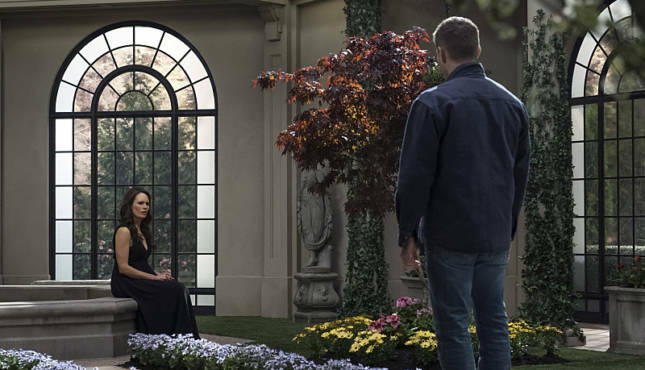 We rarely get to see the Winchesters visit their parent’s graves, so this made the scene even more powerful emotionally. Knowing what he has to do and the limited amount of time that he has to do it in, Dean wastes no time attempting to bridge the distance between himself and Amara. 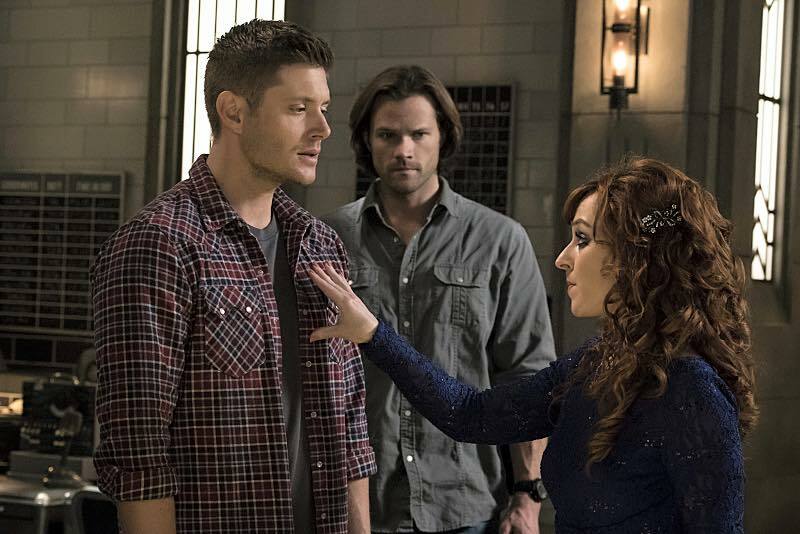 She admits she can sense the power that the bomb gives Dean. She also admits that she never wanted the world to end, she just wanted to get revenge upon Chuck. In the beginning, she says, it was just them. But then Chuck created the world. Hurt that he needed something more than her, she acted out and he locked her away. Chuck arrives in time to talk with his sister. Amara admits that she sees the beauty in his creation now and doesn’t want the world to end. She reaches out, takes her brothers hand, and heals him, restoring the balance of power. Chuck removes the bomb from Dean’s chest. Chuck and Amara head off to try to be a family once again. 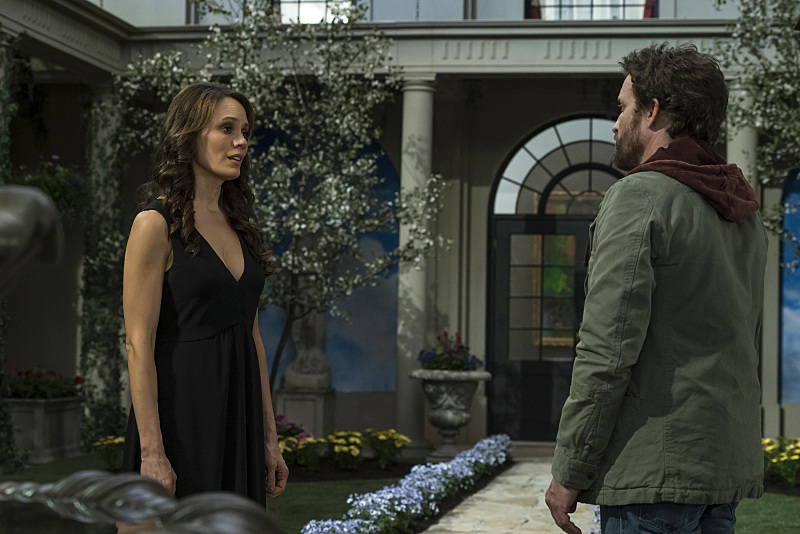 Before they leave, Amara turns to Dean and tells him she wants to give him what he wants most. She and Chuck disappear, leaving Dean confused. When he sees the sun reappear, Sam fears the worst. He and Castiel return to the bunker and Castiel offers a friendly ear to Sam if he needs to talk. Before he can do much more, though, a young woman activates a sigil and banishes Cas. She pulls a gun and introduces herself as Toni, a member of the Men of Letters. She’s been sent to take Sam in because of the damage he’s done. Sam moves toward her, confident she won’t shoot him. She pulls the trigger. Unsure of where he is, Dean stumbles to find his way back. He hears a woman cry for help and rushes to find her. His mouth drops open as he sees her identity. The camera pans and…. Mary Winchester stands in the clearing. I wasn’t sure what I thought when this episode was over. I was glad Amara’s story line was done, despite the fact that it meant Chuck, too, was gone. Amara was always a weak character to me mainly because we never really got to really know her. The Toni story line was a jolt to me, too. Usually there are things here and there where we get a glimpse that something’s going on or something was going to happen. This felt tacked on to the story to me. I hope it pays off next season. The biggest shock of the night, though, was the return of Mary Winchester. This came so out of left field that I was left scratching my head. I’m glad Samantha Smith is returning to the series, but it just felt so random. Overall, it was a decent episode. It wasn’t as emotionally packed as previous finales have been, historically. I’m hoping season twelve makes up for that. Want to find out more about Waverly Hills Sanatorium? It’s a real place and is located in Louisville, KY. The Amara story line seemed too simple in the way it wrapped up. The entire season it seemed that she was going to be a major villain but a few hours in nature was all that it took to calm her down. I wish the Winchesters had known that episodes ago. Who was bleeding in the bunker? What will happen to Sam? Mary’s back? What? Huh? How? All photos provided courtesy of the CW.